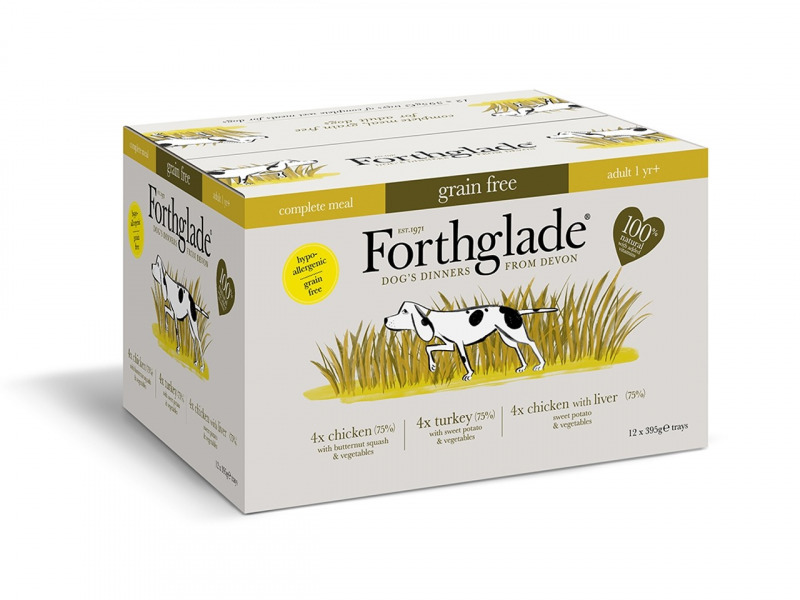 Forthglade Complete Meal Grain Free Dog Food is an easily digestible complete food, gentle enough for the most sensitive tummies. 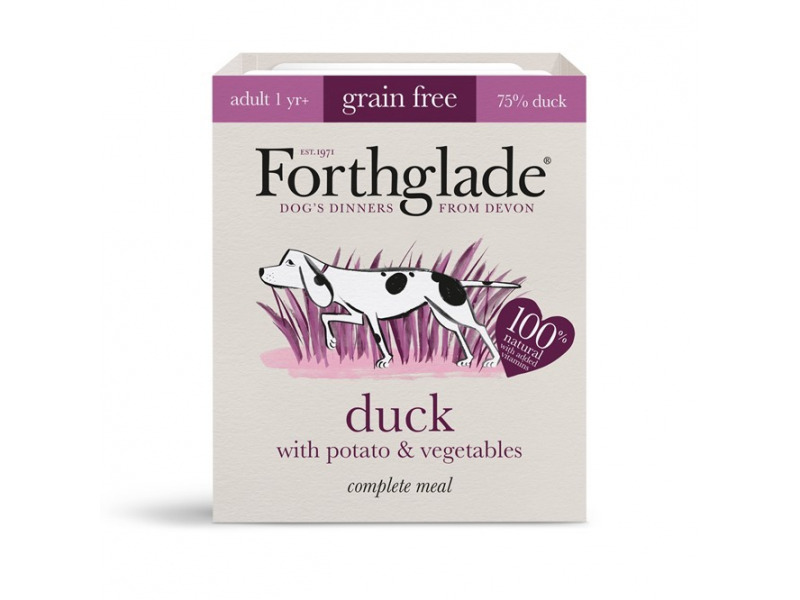 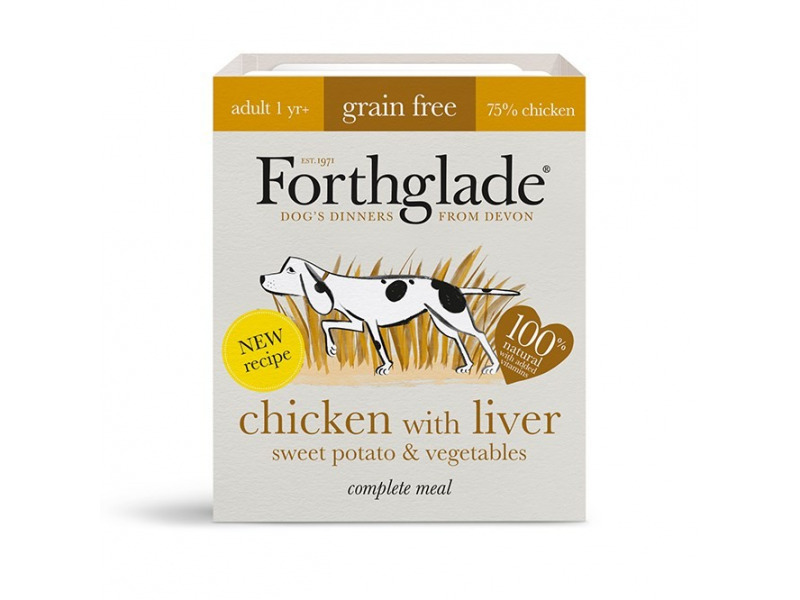 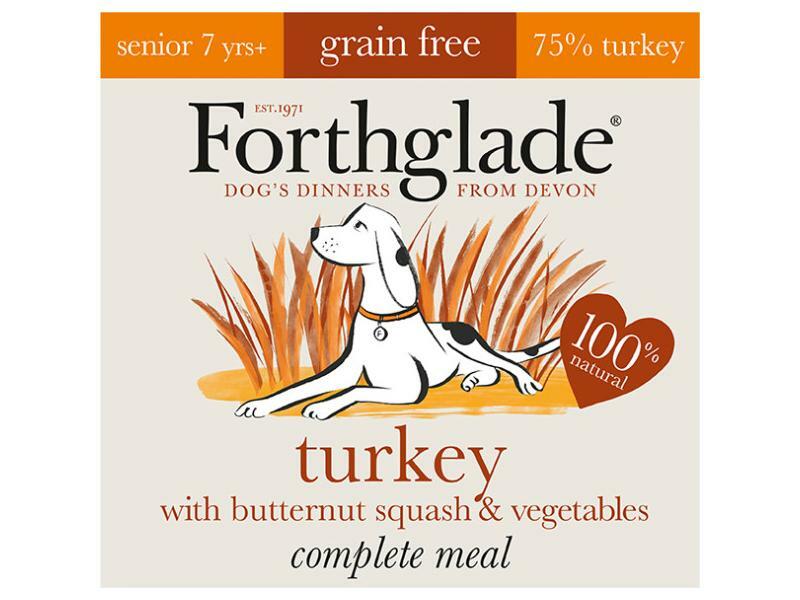 With a range of seven different recipes that have a minimum of 75% meat content, Forthglade Complete Meal Grain Free Dog Food is teamed with tasty vegetables including butternut squash and sweet potato. 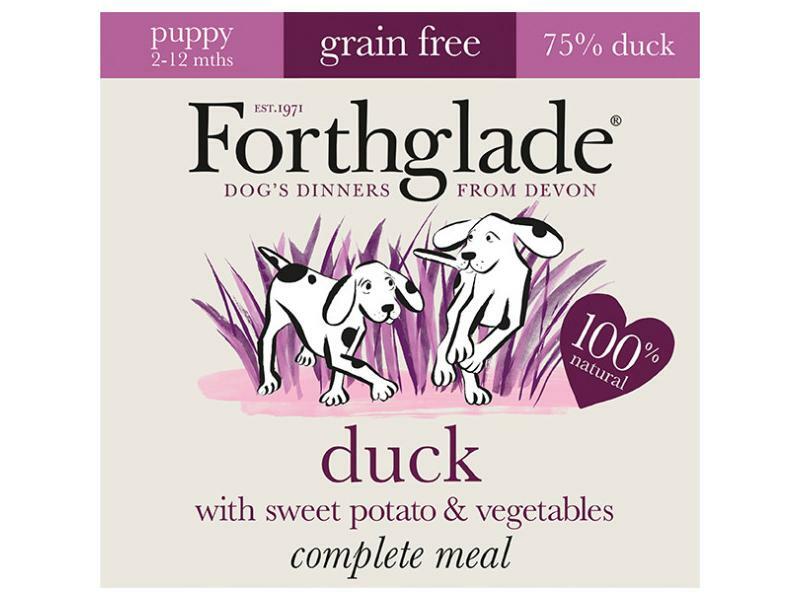 Duck (75%), Sweet Potato (4%), Carrots (2%), Peas (2%), Minerals, Linseed Oil (0.5%), Seaweed (0.45%), Prebiotic – Fructooligosaccharide, Yucca, Glucosamine (100mg/kg), Chondroitin (100mg/kg), Camomile, Parsley, Rosemary, Nettle. 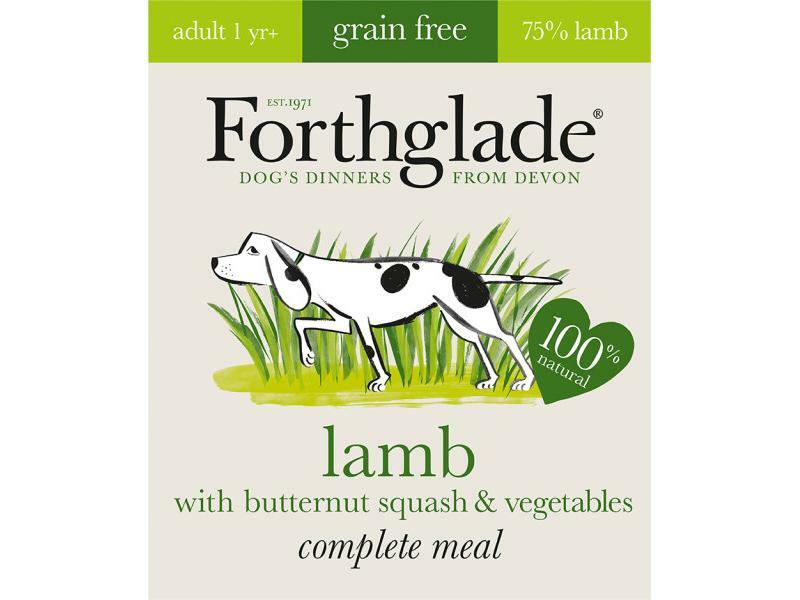 LAMB GOODNESS Essential nutritious protein for strong & healthy dogs –lamb bursting with flavour, amino acids, zinc and Omega-3. VEGETABLES Delicious and nutritious broccoli, carrots and peas – packed with vitamins, minerals, fibre & natural antioxidants. 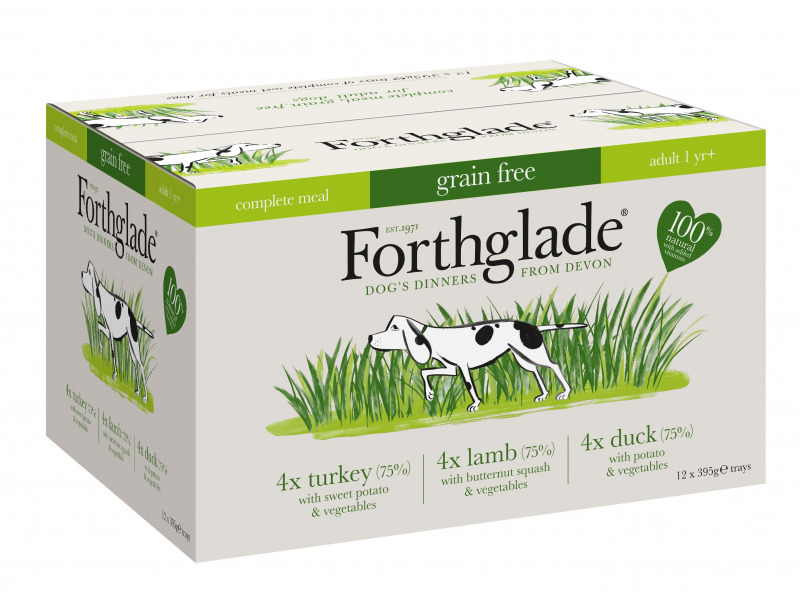 BOTANICALS Natural botanicals – including parsley & mint for fresh breath, nettle for energy, kelp for metabolic support and detoxifying yucca to combat smelly urine & faeces. 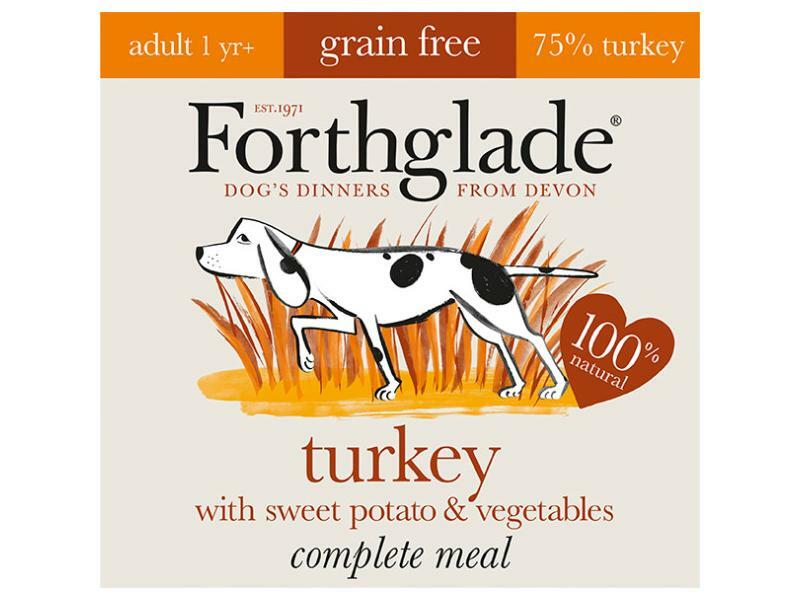 There are currently no questions for Forthglade Complete Meal Grain Free Dog Food - be the first to ask one!